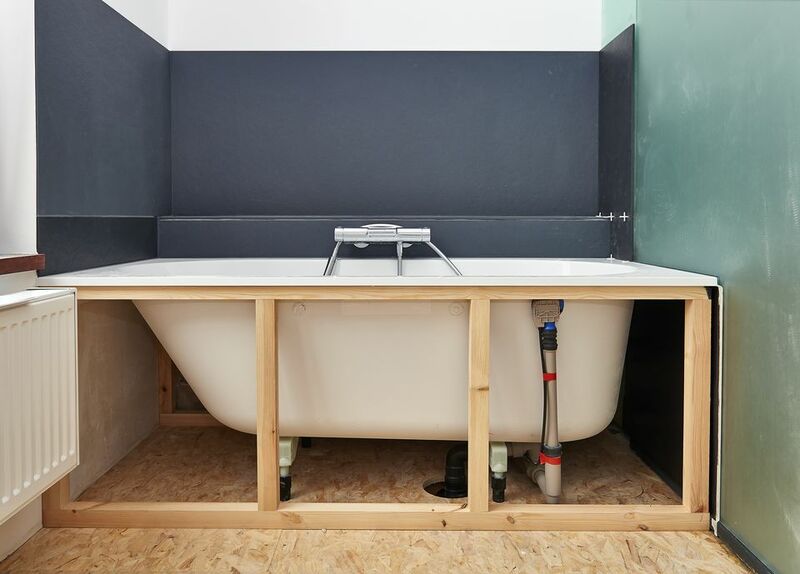 The enclosure around a bathtub often gets more wear than the tub itself. It's not uncommon to be faced with major wall repair long before the tub is ready for replacement. This can a pretty difficult job if you have ceramic tile walls, and installing a new system of tub surround panels is usually an easier solution. Most surrounds are made of acrylic and fiberglass materials which make them light and easy to install. One-piece tub surround units are available for new construction or major remodeling, but if you are removing an old tub surround with bathtub still in place, installing a new three-piece or five-piece surround is often the way to go. What are the measurements of your tub? Most tubs are 60" long but how wide is it? Some tubs are 30", some 32" and on up from there. You will need to pick a surround kit that is the right measurements for the tub, or one that is adjustable to your dimensions. Often, people replace the tub surround and install a new tub at the same time, but this is not necessary if you do some research and make sure the tub surround will fit your existing tub. What is the color of the tub? Can you match the new tub surround to the color of the bathtub you already have? Most bathrooms have matching sink color, toilet color, and tub color so all of the fixtures have the same look and finish. Making sure that the new surround matches your existing tub will make it look like it was planned and ensure all of the fixtures go together. Mismatched fixtures will draw the eye, and it may serve to accentuate the age differences between the fixtures. What type of installation is being required? Thicker, sturdier tub surround panels are usually attached direct-to-studs. This means you will have to remove the drywall around the tub surround so the lip of the surround panels can be screwed right into the studs. With this type of tub surround, drywall or trim pieces will likely have to be added over the lip to cover it up. There is also tub surrounds that can be glued right to the wallboard. These kits are made of thin waterproof panel materials and can include as many as five pieces as well as shelves. The thin type is the most adjustable in length and width because the two corner pieces overlap the back and side walls to take up the difference in space. Thin tub surround panels are glued on with a tub surround adhesive and have to be smoothed out while being installed. What structural constraints do you have? Sometimes there is a window at the top of a wall in the tub enclosure area. Make sure that the measurements of the new tub surround will not interfere with the window. If you do have a window in the area, you will have to pick thin panels that are relatively easy to cut and trim around a window. With a tub surround kit, It does not matter which side your tub faucet valve is on. Unlike when buying a tub, when you need to specify whether the faucet valve is on the left or right side, surrounds are meant to fit either. You simply make cutting marks at the appropriate location at the time of installation and drill holes in the surround to fit your valve and tub spout. Another advantage of tub surrounds over ceramic tile and other wall choices. What Does the Bonding Wire on a Water Heater Do?